Part 1 - We start at the beginning with the murders of a little boy and a gay man while Stan, Richie, Ben, Eddie, and Beverly are called home because they promised. Nebraska - Challenged in Lincoln school libraries because of the novel's "corruptive, obscene nature." New York - Placed on a "closed shelf" a the Franklinville Central High School library for sexual content, violence, and language. Parental permission required to check out by students. Doyle, Robert P. Banned Books: Challenging Our Freedom to Read. ALA, 2014. King, Stephen. "It." Pocket Books. New York: 2016. 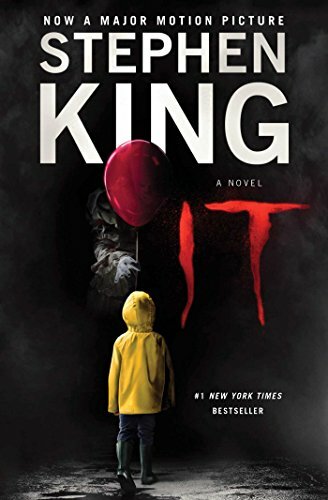 Own the October 2017 book of the Banned Library Podcast, Stephen King's It. Has all the notes and random musings and stains from the library. Can an entire city be haunted? The Losers' Club of 1958 seems to think so. After all, when they were teenagers back then, these seven friends who called the small New England metropolis of Derry their home had first-hand experience with what made this place so horribly different.